Posted on Friday, August 11th, 2017 at 8:14 pm. Stewardship Coordinator Melinda Billings thrusts her hand into the air with a bunch of emerald weeds in her hand, fresh mounds of earth still attached to the base exposing wild spaghetti strand roots. “This is Crab Grass, Dyers Woad, and Mugwort,” her voice booms over the crowd. She holds the weeds up for the group to see and I raise my hand to shield my eyes from the bright rays of the sun to get a closer look. 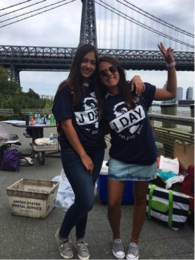 It’s Sunday morning and I’ve traveled from Washington, D.C. to join a J-Day beautification volunteer project in New York City. 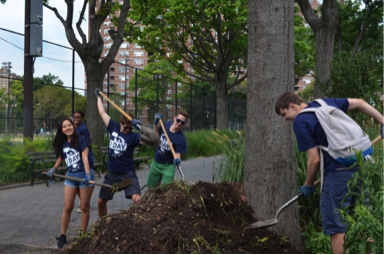 We’re there to remove invasive weeds and plant species from the brick-lined East River Promenade, where many New Yorkers come to cycle, run and enjoy the great outdoors. 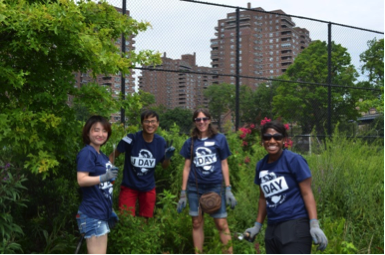 Armed with gardening gloves, pruning and digging tools, shrub rakes, and wheel barrows, our group was ready to banish these harmful weeds. 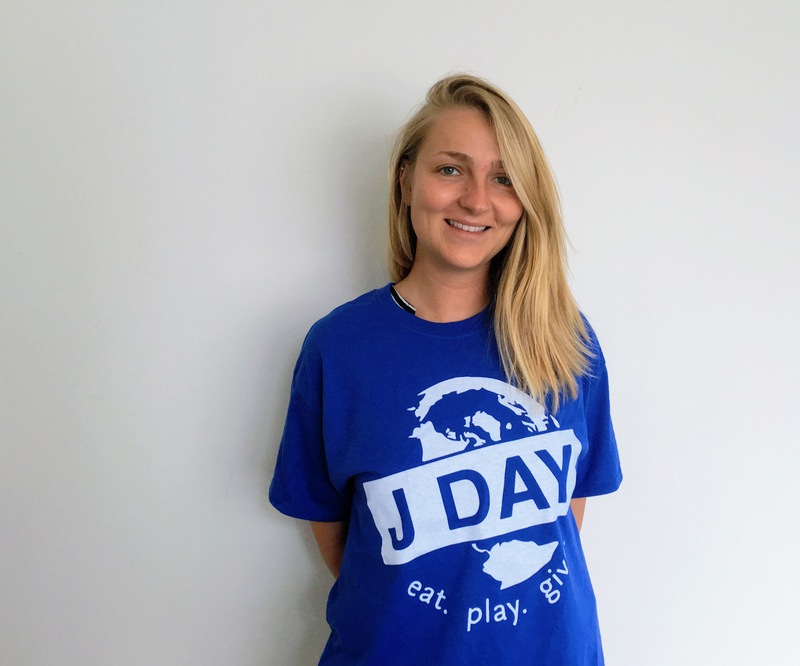 J-Day is a nationwide event that raises awareness about cultural exchange and diversity. 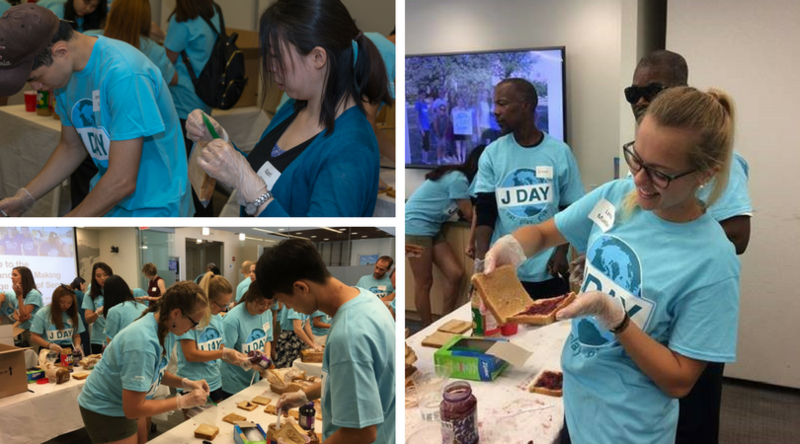 It gives participants of the J-1 Exchange Visitor Program (EVP) the opportunity to give back to their communities and experience volunteerism in the United States. Everyone uses the same tagline: Eat. Play. Give. 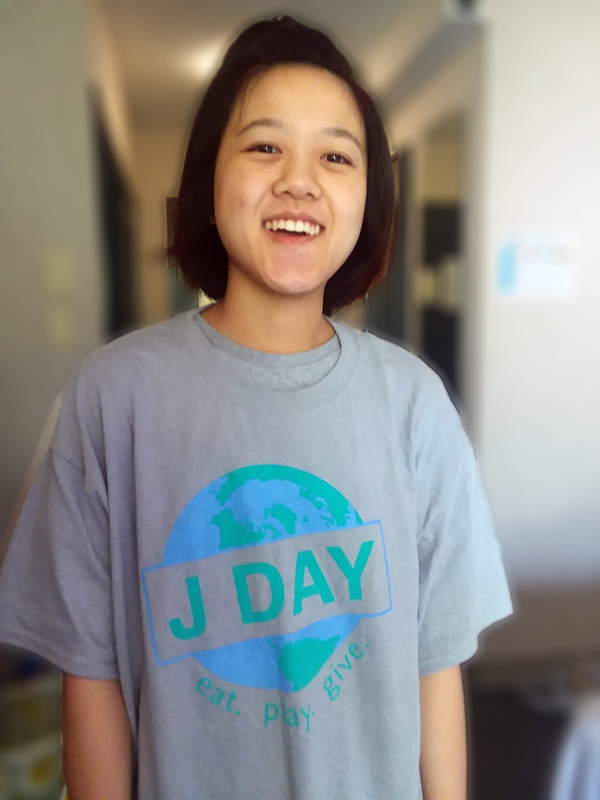 J-Day was first piloted in the summer of 2014 by three State Department-designated sponsors – Greenheart International, Cultural Exchange Network (CENET), and Spirit Cultural Exchange in partnership with the Alliance for International Exchange – and has spread like wildfire throughout the J-1 community. 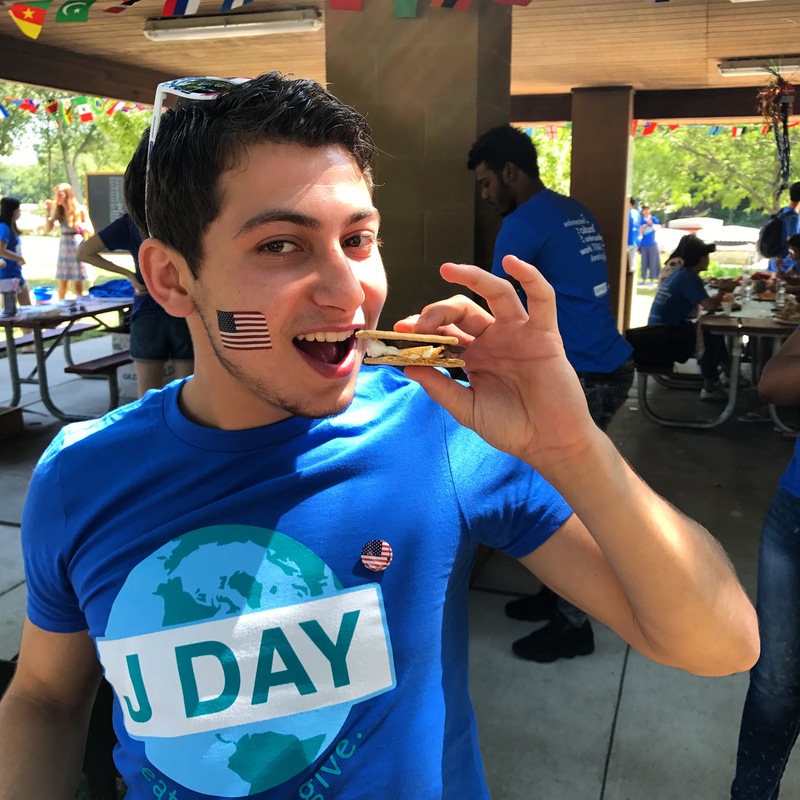 This year, there were 52 J-Day events across 20 states and the District of Columbia. 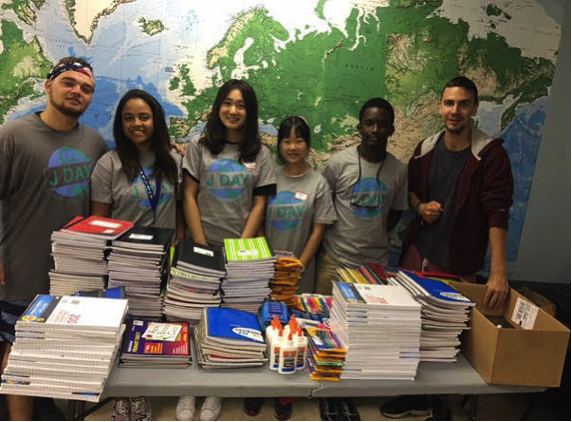 These included food and shoe donations, a lifeguard Olympics competition, a school supply drive, environmental rehabilitation projects, and coastal clean-up activities. 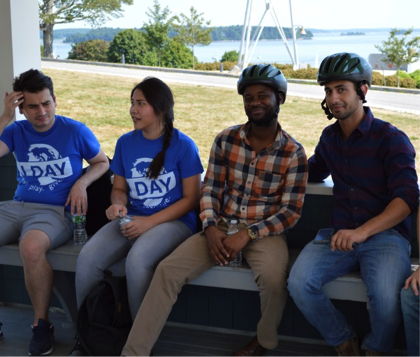 In Maine, J-1s helped the Bicycle Coalition of Maine (BCM) prepare supplies for Bike Maine, a weeklong ride that brings 400 riders to less developed areas of the state. 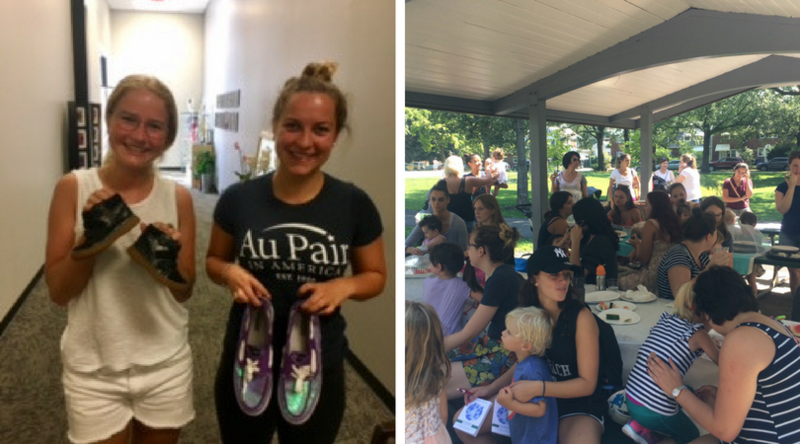 J-1 Au Pair Doreen Kappa from Germany (right) had a blast donating shoes to the community and learning to line dance, Electric Slide and Salsa with them at the Arthur Murray Dance Studio. In Dickinson County, Iowa, J-1s participated in a picnic, games and food drive to raise $540 and one full box of canned food. They also learned how to make s’mores, which were so popular that the sponsor ran out of graham crackers and had to get more. In Lake Ridge, Virginia, 197 J-1 Summer Work and Travel participants collected over 1,215 pounds of food for a local food bank and took part in the Lifeguard Olympics, a contest in which teams of J-1 lifeguards compete in friendly water games for fame and glory. Left: Richard and fellow lifeguards goofing off before the Lifeguard Olympics.| Right: The supervisor boat race causes excitement among exchange visitors.